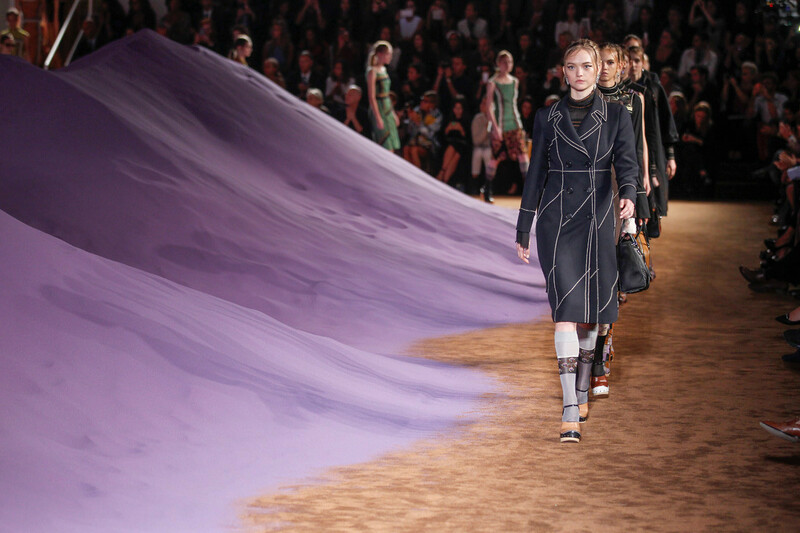 When it comes to show backdrops it’s hard to top Chanel and it’s enormous decors. 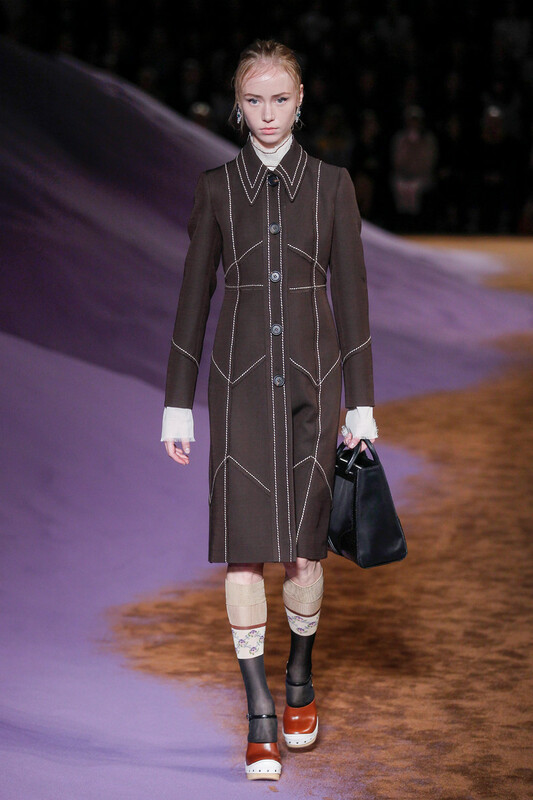 Still, Prada has been creating some impressive ones for it’s shows over the past few year. 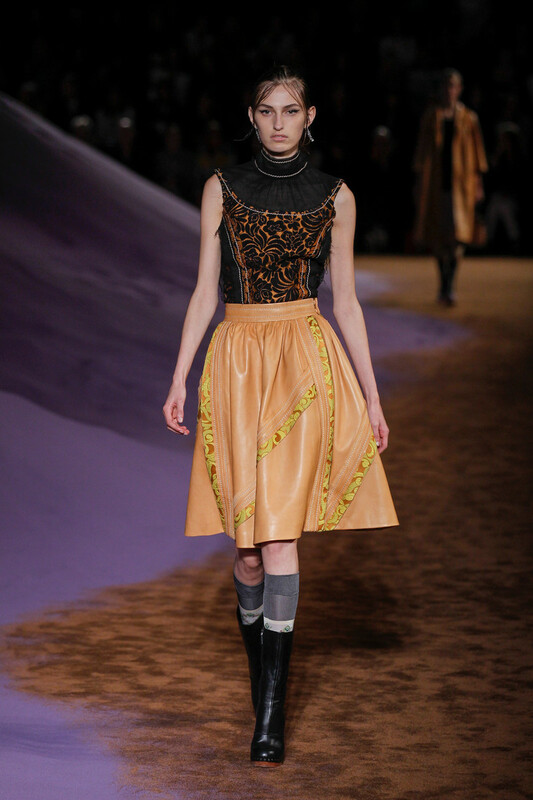 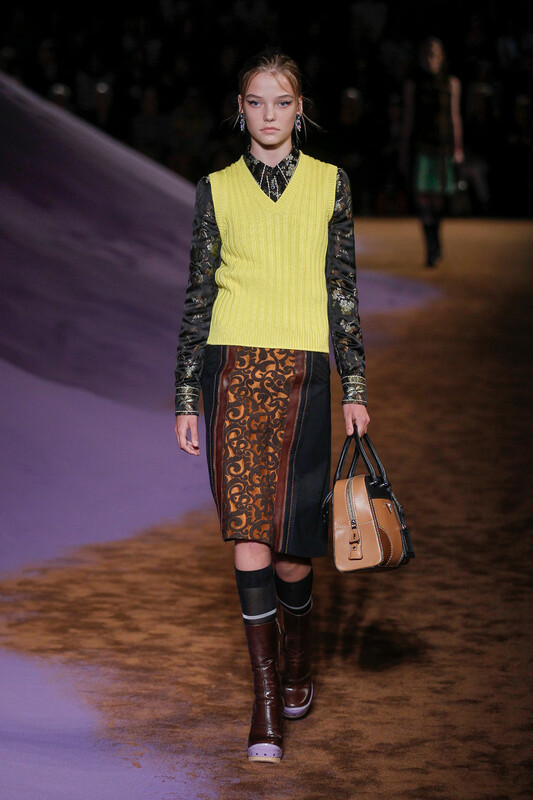 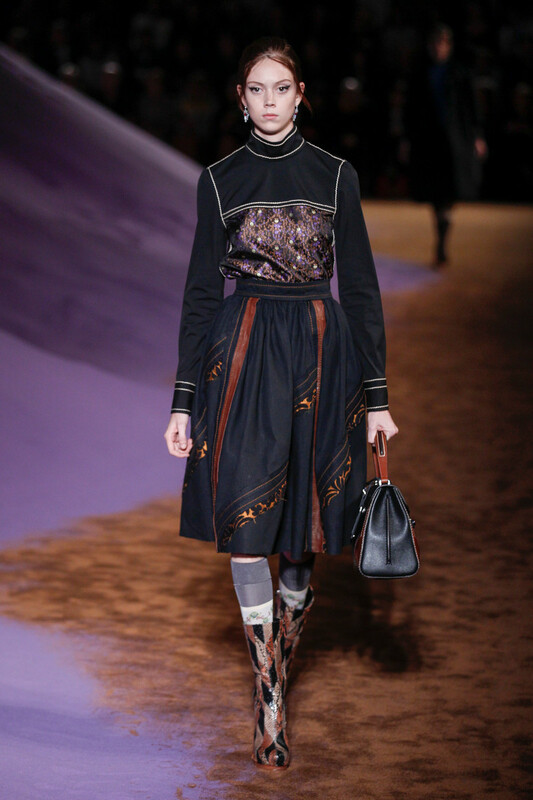 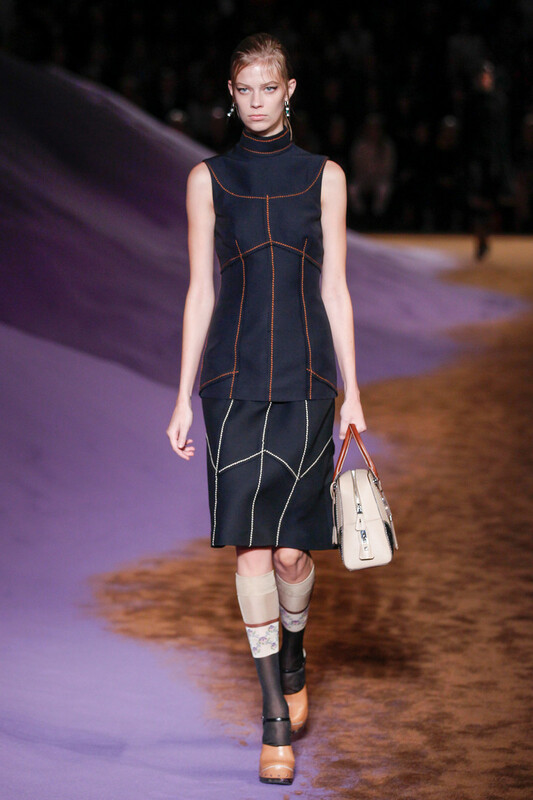 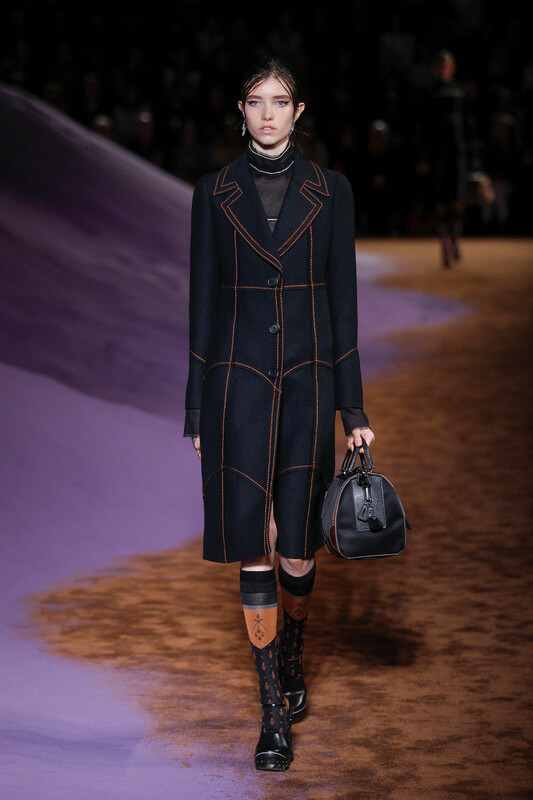 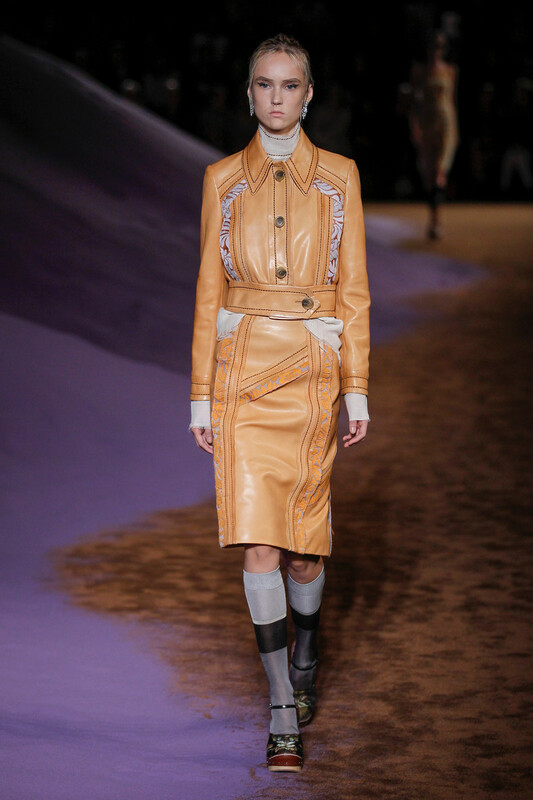 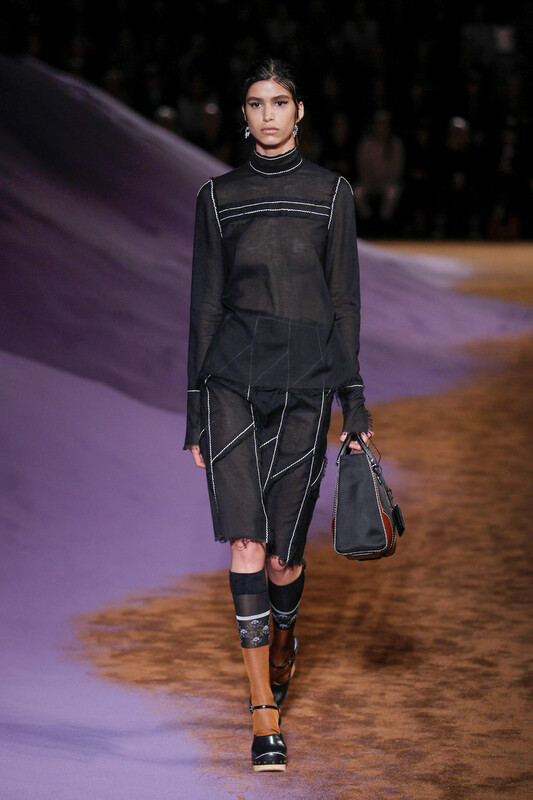 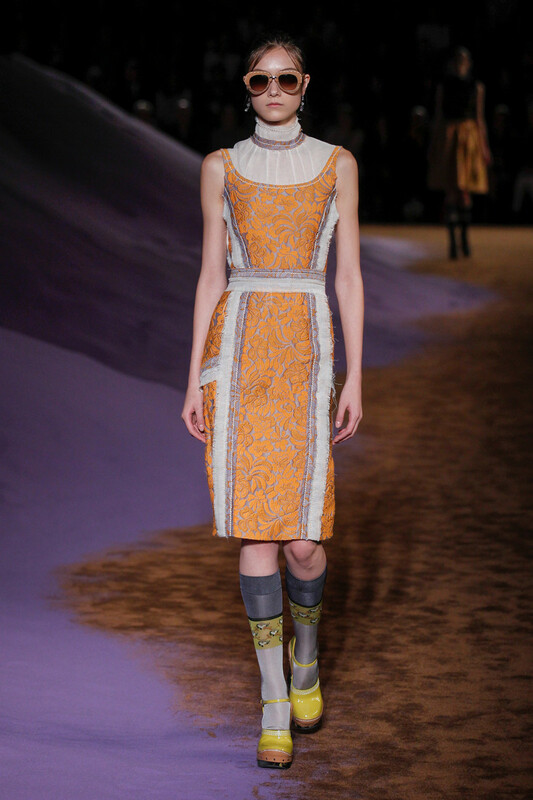 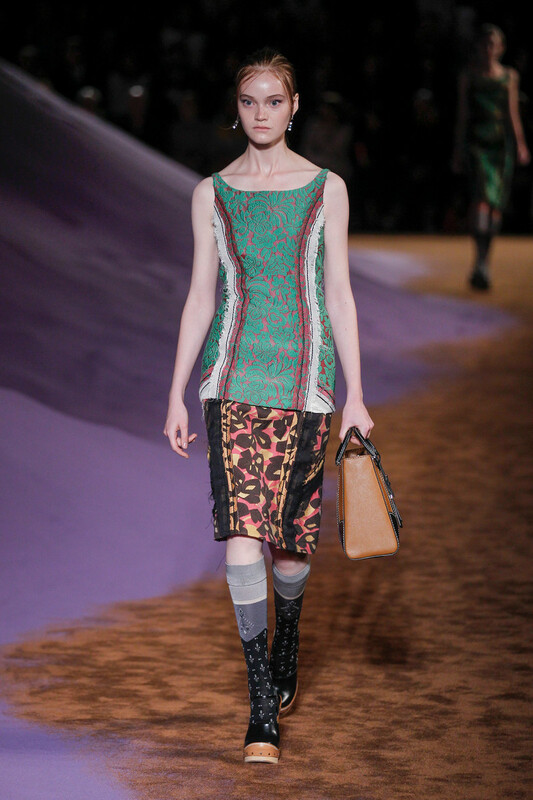 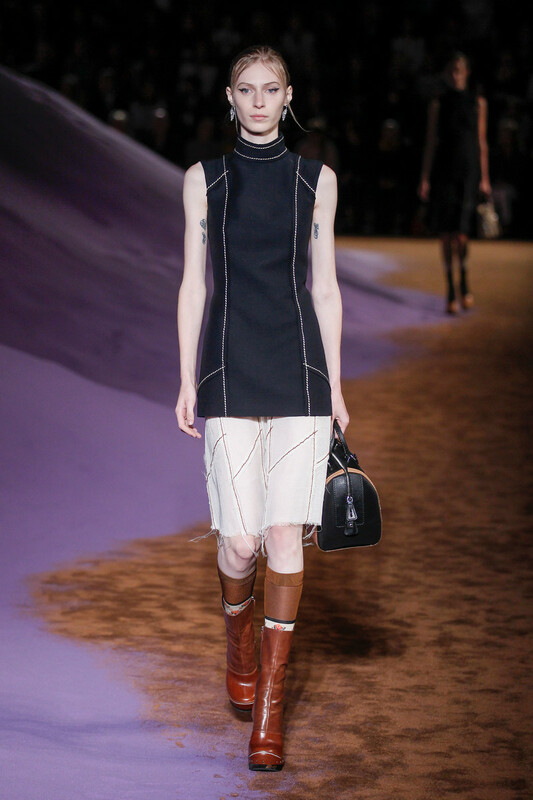 This week lilac coloured sand-dunes formed the backdrop of Prada’s summer collection. 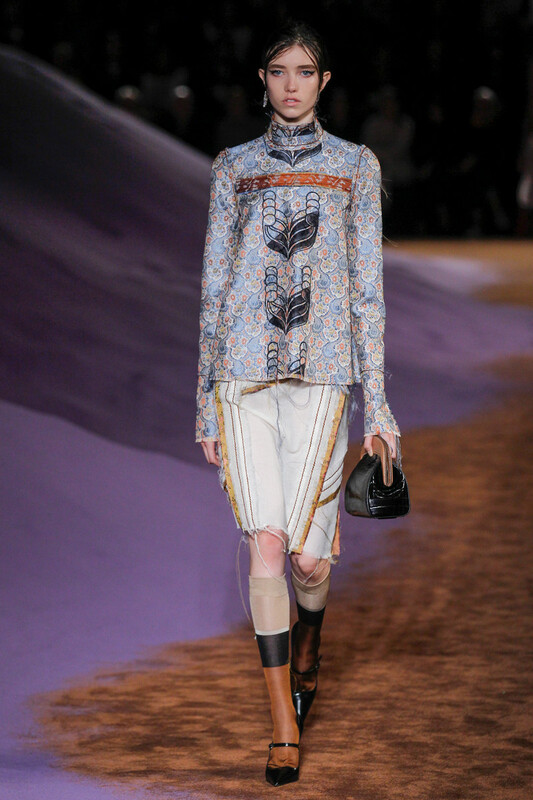 Although summer was not the first word coming to mind when looking at the passing creations. 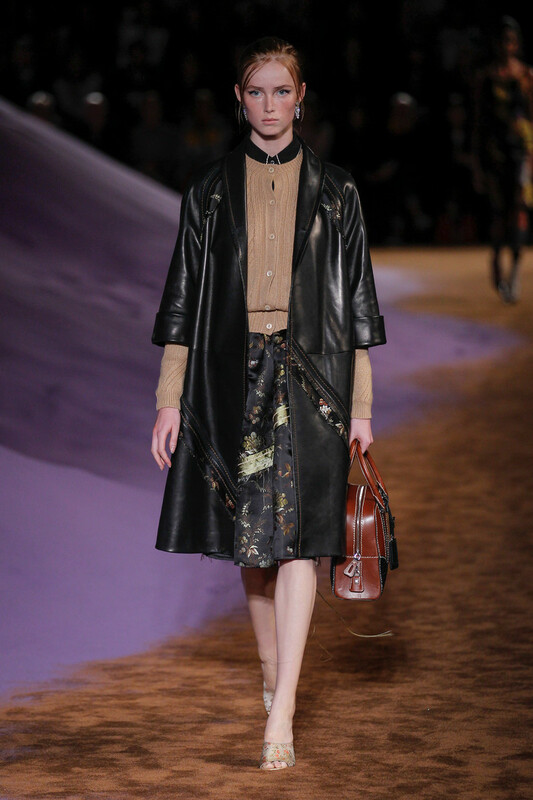 Due the moody vibe of the show, the choice of heavy and rich fabrics (the knitwear, the fur, the leather, the brocades) and the first half of the collection containing mostly dark coats autumn might be more of a seasonal match. 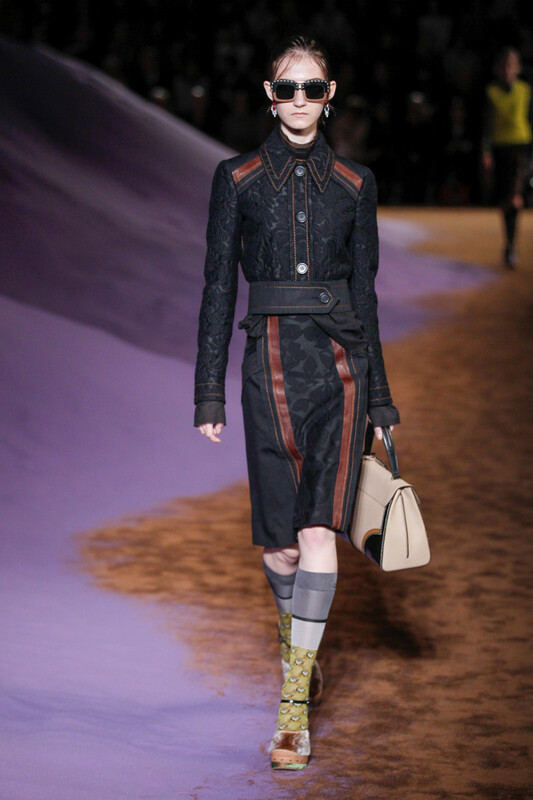 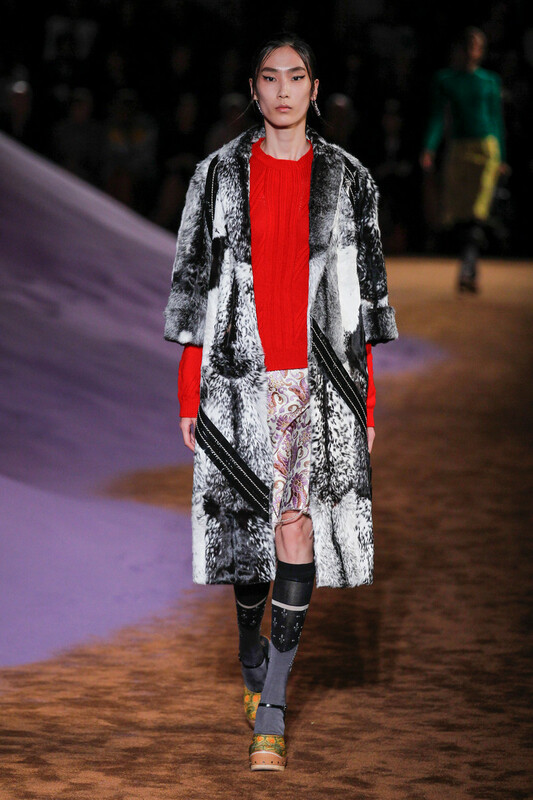 Nevertheless designs were impressive in the way only Miuccia Prada can impress. 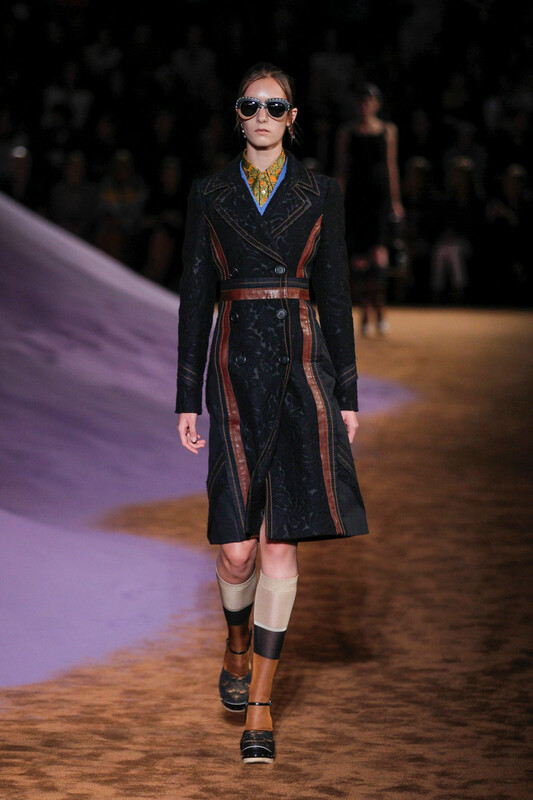 Coats, a lot of them, had obvious topstitching and most clothes with undone frayed ends had a patchwork design to them. 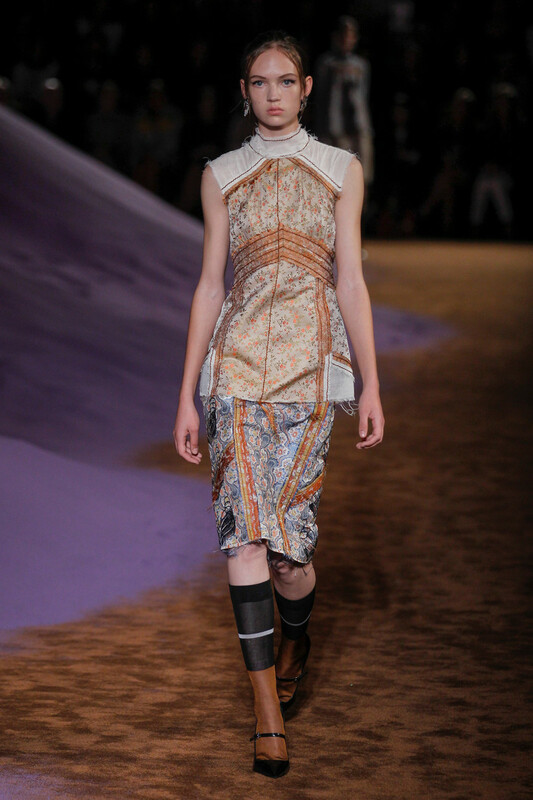 With 30 different types of brocades worked into the collection, creating modern pieces of reproduced antique textiles. 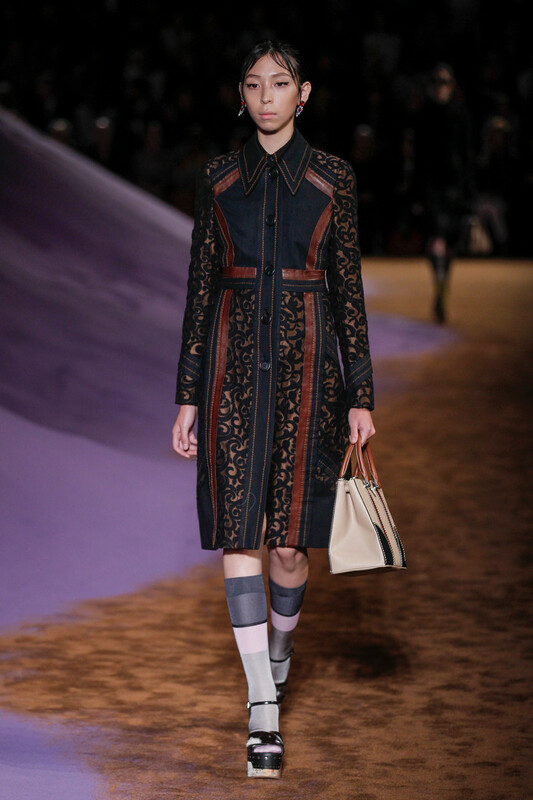 Something old turned into something new; luxurious yet undone. 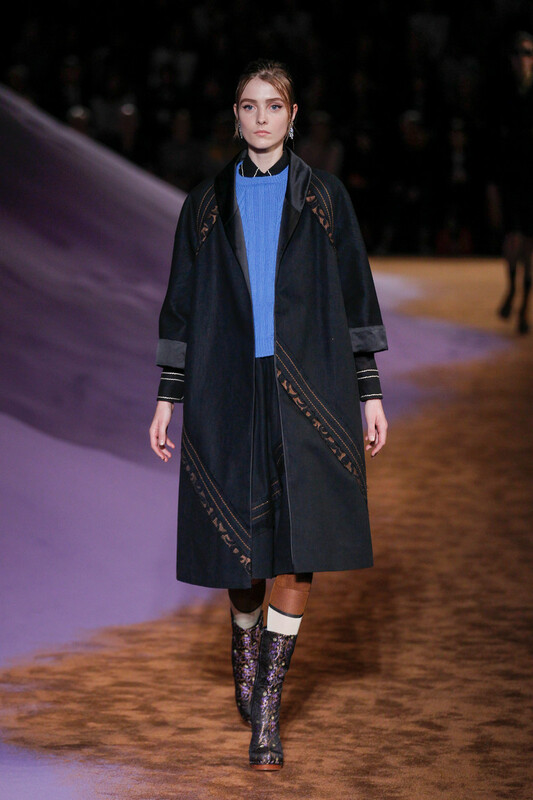 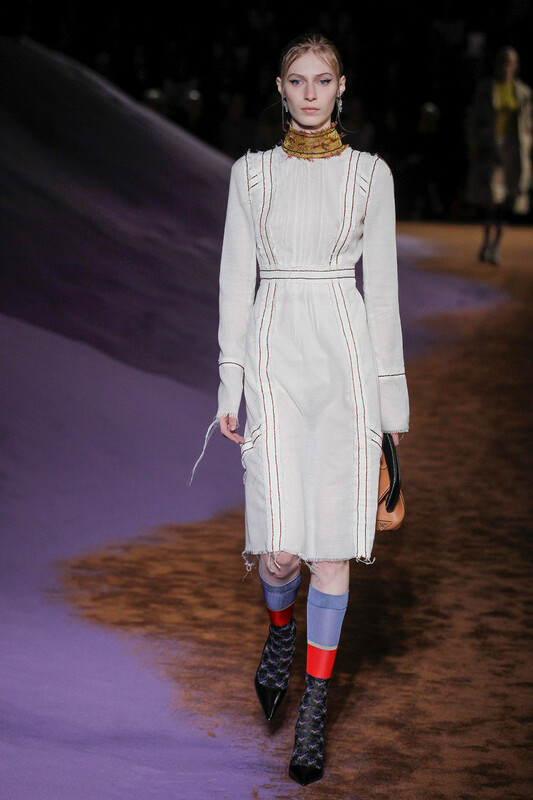 Elegant earrings, knee socks and oddly shaped blog boots put the Prada S/S2015 look together. 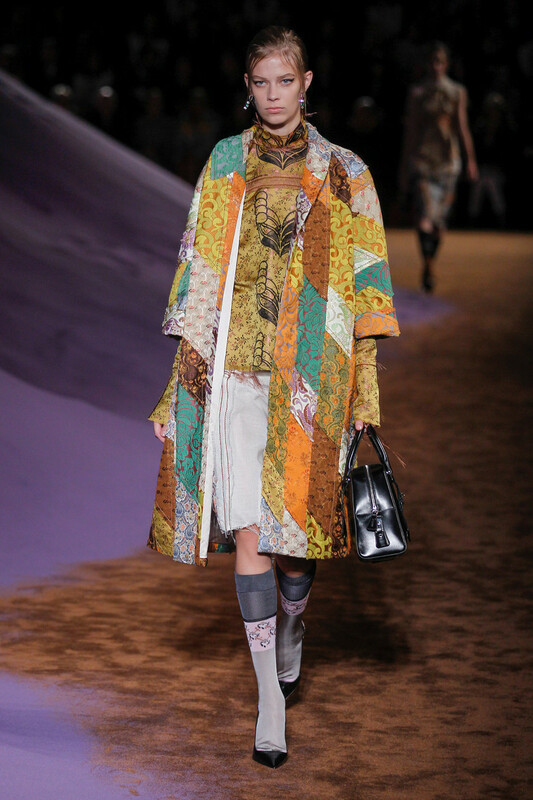 A look returning models (after quite a period of absence) Gemma Ward (opening) and Lara Stone (closing) were able to pull off fabulously.